Dolphin Travel & Tourism provide you the most satisfying Musandam Peninsula exploration packages and an opportunity to visit the famous traditional culture of the region full of rich traditions and great landscapes. So relieve yourself from all the burdens of busy city life. Whether you are in Dubai or any other part of the UAE, transport with connections to all or any different UAE states and cities are a perfect option to avail our tour choices. 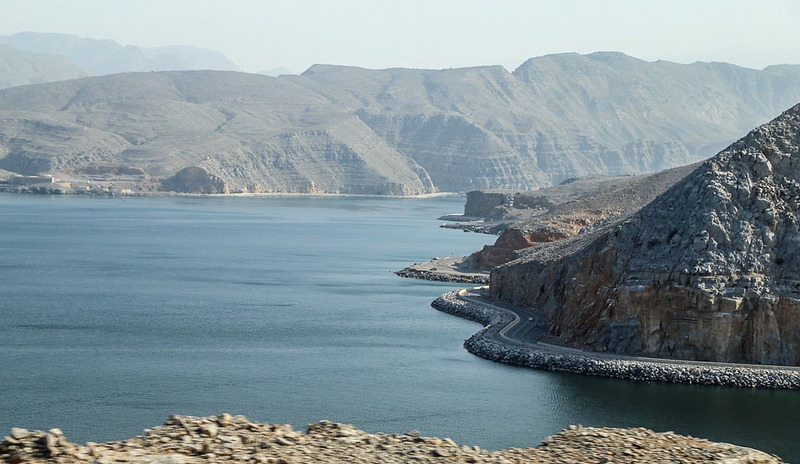 So Khasab Musandam Tour From Dubai the road of Khasab is through the northern road towards Ras al Khaimah, heading north to the border. Khasab Road is in excellent and glorious condition. Below the list of Khasab Musandam Tour packages we offer our clients from Dubai with transport. Khasab City is the Capital of Musandam Peninsula between Iran, UAE and also the country of Sultanate of Oman on the Hormuz Straight Coast. Khasab is located about 197 km to the East of Dubai and also the tribal Sheikh Mohammed Bin Zayed Road/E311 flows straight from Dubai to Khasab taking you through Sharjah, Umm Al Quwain, Ras Al-Khaimah and Sham. Stop at any town location on your way to take those beautiful sightseeing’s pictures. Dubai to Khasab Musandam approximate travel distance is 3 hours, so leaves your-self about 3 hours for the road trip. Dolphin Travel & Tourism provides you the transport option for Musandam Khasab tours from Dubai upon request. So the prices depent changing, be sure to inquire for your convenience. We provide private transport services from Dubai to Musandam by car, mini bus or bus. Our transport services offers a flexible, safe and convenient way to travel. So Dubai to Khasab road trip is through the northern road towards Ras al Khaimah, heading north to the border. Road is in excellent and glorious condition. Our comfortable vehicles: Car 7 Seats, Minibus 14 Seats, Coaster 22 Seats. Local transport services to explore city and mountains. Oman Visa available upon arrival at the border for both UAE resident and tourist visa holders. UAE tourist visa holders: Europeans and Tourist visa holders have to pay same: 50 AED/Each + 35 AED/Each UAE exit fee. Carry your original passports. Oman Insurance for the car is compulsory. Oman Insurance for the car is compulsory. If your vehicle is a rented one, don’t forget to get an NOC from the rent a car company to cross the border. If the vehicle doesn’t have Oman insurance, you can get it from the check post by Insurance charges : 80 AED/Car. If you have rental Car take NOC (No Objection Certificate) from Rental Company to cross the border. Visiting Visa and low professions are not allowed. Nationalities that can cross the border : Australia / Andorra / Austria / Brunei / Bulgaria / Belgium / Canada / Cyprus / China / Croatia / Czech Republic / Denmark / Estonia / Finland / France / Germany / Greece / Hong Kong / Hungary / Iceland / Ireland / Italy / Japan / Liechtenstein / Lithuania / Latvia / Luxembourg / Malaysia / Malta / Monaco / Netherlands / New Zealand / Norway / Paraguay Portugal / Poland / Romania / San Marino / Singapore / South Korea / Spain / Sweden / Slovenia / Slovakia / Switzerland / United Kingdom / USA / Vatican. Please note, visa regulations are always subject to change and it is important that you check your own visa requirements prior travel.